Written and directed by Alfonso Cuarón, this semi-biographical drama takes place in 1970s Mexico City and follows the life of a middle-class family through the perspective of their live-in housekeeper. At the 2019 Golden Globes, Cuarón was nominated for Best Screenplay and won awards for Best Director and Best Picture. He won the Golden Lion Award for Best Film at the 2018 Venice Film Festival. 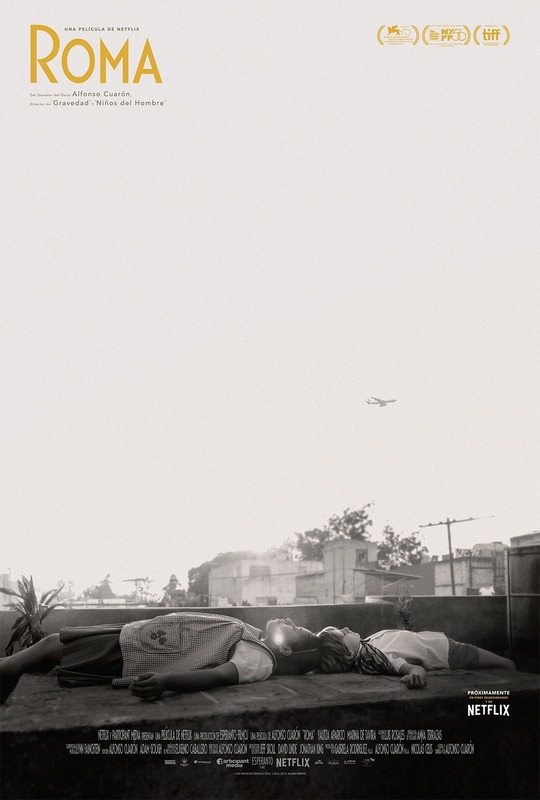 Along with nominations for Best Actress, Yalitza Aparicio, Best Supporting Actress, Marina de Tavira, and Best Picture, Roma won Best Achievement in Directing, Best Achievement in Cinematography, and Best Foreign Language Film from the 2019 Academy Awards.